What is the difference between a psychiatrist and a psychologist or therapist? A psychiatrist will do an assessment and will prescribe medications that may help with your condition. A psychologist or therapist will do "talk therapy", psychotherapy, or counseling to help you understand your problems and change your behavior, thinking, or situation. Can I see both a psychiatrist and a therapist? Yes, and some research indicates that counseling and medication are more effective if done together rather than separately for certain conditions. Yes, with certain exceptions. If your therapist determines you are dangerous to yourself or someone else, confidentiality can be broken. If your therapist becomes aware of child abuse, he or she is mandated by state law to report that. If you are using insurance, most insurance companies require at least a diagnosis and in some cases a treatment plan or explanation of symptoms in order to pay for the sessions. For example, in certain legal situations such as Workers Compensation, personal injury cases, or court ordered counseling confidentiality may be broken. Do you bill for insurance? Yes, in most cases we will verify your insurance and you will know your co-pay and any deductible before the first session. We will bill your insurance company, but please realize that you are still ultimately responsible for paying any charges and obtaining prior approval if required. Your co-pay will be due at time of service. Can I receive marriage or family therapy? Several of our therapists specialize in marriage and family therapy. How do I make a new patient appointment? 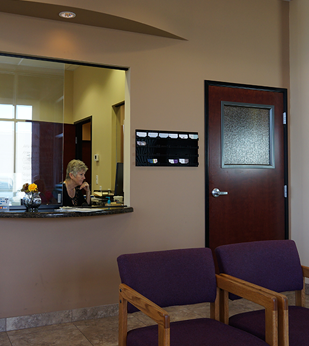 We are now offering an easy way to access our intake forms before your first appointment, through the Online Check-In. We will verify your insurance eligibility, and call you as soon as possible to schedule you with your preferred provider. During the first session, your therapist or physician will try to gather as much information as possible to accurately diagnose your condition. He or she will try to get an understanding of the circumstances, symptoms and history of the problems. She or he will begin developing a treatment plan with you. Usually the first session will last between 45 minutes and an hour.